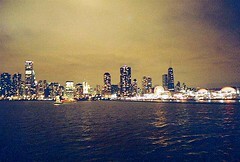 This is a picture of the city from the Spirit of Chicago. I took this at my 10 year high school reunion. It was a blast. There are other pictures from it on my flickr.